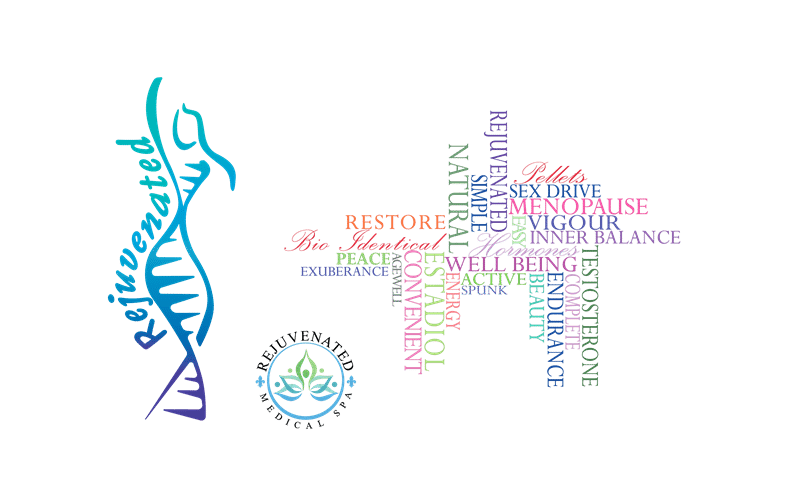 At Rejuvenated Medical Spa, our guiding mission is to empower guests with treatments aimed at regaining balance, vitality and wellbeing as well as slowing signs of the aging process; all with a consistently extraordinary experience. When we can get our bodies and minds in harmony, a more tranquil and fulfilling quality of life can take shape. We invite you to rediscover inner balance and outer beauty through our innovative services. Rejuvenated Medical Spa offers professional expertise, artistic excellence, and the most cutting edge technologies available today. We invite you to experience your best you yet. Dr. Gentry is an experienced Northwest Arkansas physician, board-certified E.R. doctor and functional, aesthetic and regenerative medicine specialist. Raised in southern Missouri, Dr. Gentry received his undergraduate education at Southwest Missouri State University. After graduating from medical school, he completed his residency in Richmond, VA, where he served as chief resident his final year of training. He currently lives in Fayetteville with his wife Jill and their two children. Dr. Gentry evaluates each patient individually and develops treatment options to meet individual patient needs. There is no “one size fits all” in our practice. Each person is unique and has their own perspective. The most important aspects of a patient/physician relationship is communication and trust. Dr. Gentry will work with you to enhance the person you are. 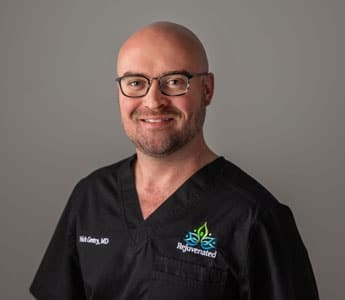 Dr. Gentry treats to achieve optimal health by balancing science and symptoms with the goal of helping you obtain and maintain your health and wellness naturally so that you may enjoy a better quality of life. Dr. Gentry continues to learn and research other aspects of cosmetic, aesthetic, and regenerative medicine. Many of his interests revolve around finding ways for the body to heal itself, especially platelet rich plasma (PRP). He then developed his own plan for guest care that he felt would benefit his guests the most. Dr. Gentry was first trained in 2013 by Dr. Charles Runels (the inventor of these procedures) to perform the Vampire Facelift, the Vampire Facial, the O shot and the P shot procedures. Dr. Gentry has always had an interest in sports medicine as well as other diseases and injuries of the musculoskeletal system. He has used platelet rich plasma therapies to treat arthritis as well as muscle, ligament and tendon injuries. When it comes to practice, Dr. Gentry believes bigger is not always better. He continues to research and develop new (and some older) medical techniques, procedures and philosophies and promises to adapt to the needs of his guests. He is a part of the American Academy of Anti-Aging Medicine (A4M) and continues to receive training to ensure Rejuvenated Medical spa provides guests with the highest levels of expertise in the aesthetic and wellness industry. Molly is a Fayetteville native who began her cosmetic medicine and aesthetics career in 2003. She has experience serving family medical practices and medical spas across Northwest Arkansas and Oklahoma. 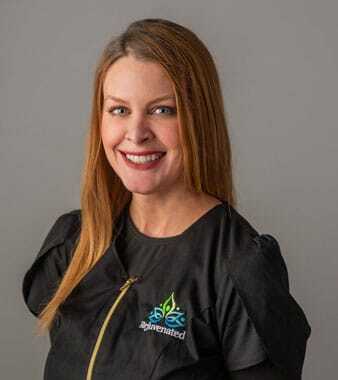 Molly is a certified laser technician with more than 13 years of experience treating guests. She graduated from Advanced Aesthetic Concepts in Fort Worth, Texas. She completed her advanced training in laser physics and safety through Medical Laser Dynamics in Philadelphia in 2007. She Completed an updated Ablative Laser Training from MINT Aesthetics in Kansas City in 2017. She is certified and experienced in multiple laser and pulsed light systems, including the industry’s leaders: Sciton, Cutera, and Alma. Beyond laser, Molly is also certified in medical chemical peels, microdermabrasion, ultrasound, and the two leading microneedling devices, Bellus SkinPen and Eclipse MicroPen. For the last decade, she has received ongoing product chemistry training in New York, as customized treatment planning and product regimens are integral to the success of her guests. She is certified in 3 microneedling devices now, the latest being Induction Therapies Collagen Pin (this is what we will be using at Rejuvenated). Also certified in Microcurrent, and the BIOTEC system if you wanted. Molly’s passion for skin care stems from her personal battle with acne, and the desire to seek safe and healthy treatment options not only for herself, but for others. 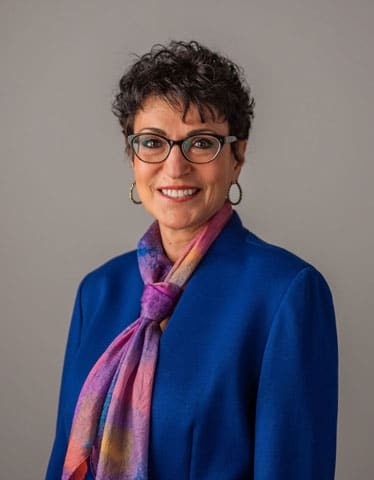 While remaining passionate about the treatment of adolescent and adult acne, her experience in aesthetics has evolved into a great interest for women’s health and wellness. 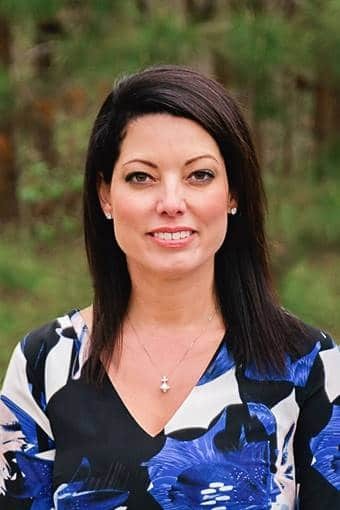 Jill Gentry serves as our Director of guest services. Jill oversees the Rejuvenated guest services and experience team and ensures our guests have an extraordinary experience from the time they first call to the moment they leave. She has a wealth of knowledge of all the procedures/treatments in the spa and enjoys interacting with each and every patient. She was born and raised in Fort Smith and has an undergraduate degree in Molecular Biology. Jill’s prior experience was in pharmaceutical and skincare sales. She is also a proud wife and mother. When not at the clinic, she enjoys spending time with her family. Denise Grosse serves as our office manager. Denise oversees the day-to-day activities of the clinic, including scheduling, inventory control management, customer and employee relations. She is dedicated to creating an atmosphere where our guests have a positive and memorable experiences and where each person feels special. Her prior experience includes nearly a decade of experience in healthcare management and customer service. Katie is from the Fayetteville area who started her medical assistant career in Dallas circa 2015. She is a University of Arkansas student studying nursing and psychology which aids her passion for holistic healing. Due to Katie’s background in psychology, she is especially interested in helping others feel content in mind, body, and soul through a natural manner. She is a self-proclaimed herbalist who believes that positive energy is the beginning to anybody’s journey to a happy and healthy lifestyle. 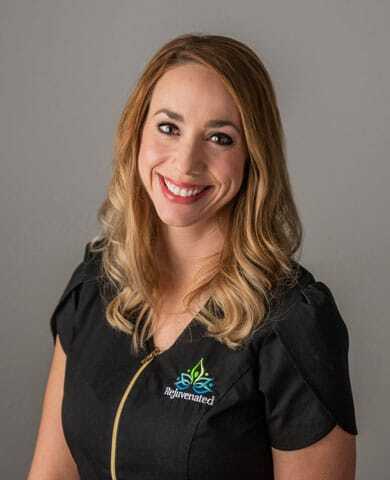 Katie is extremely gratified to be part of Rejuvenated Medical Spa’s team, and is thrilled to help you achieve your goals! Melissa is a licensed aesthetician with more than five years of spa experience. 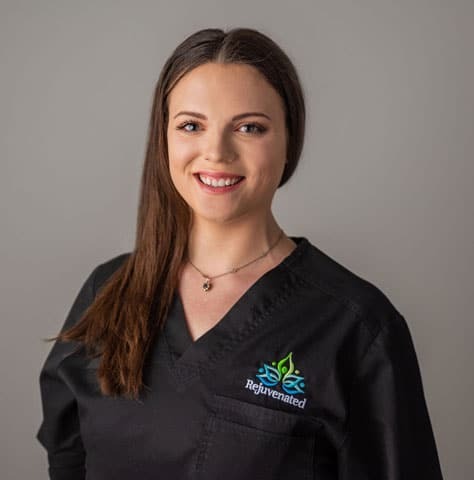 Her skill and attention to detail shine through every treatment she performs, establishing trust with personal attention to her clients’ needs and requests, helping them to achieve their ultimate skin care goals. 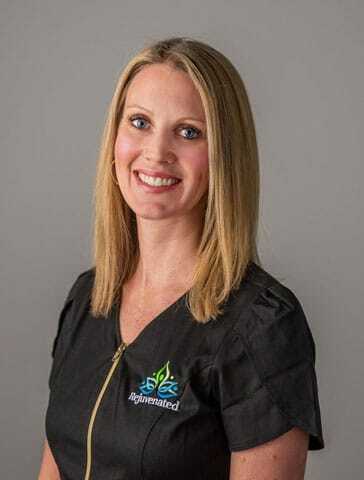 She loves being in a profession that she truly enjoys, offering treatments that either help a client relax or give some much needed confidence. Melissa also teaches group fitness classes outside of the spa, helping people reach their overall health and wellness goals. Gloria Vazquez is Rejuvenated’s Founder. Her vision was to create a unique facility that provides a beautiful, positive environment for guests to rediscover inner balance through internal hormone optimized wellness as well as enjoy outer beauty through innovative aesthetic services. She loves to be on the forefront of the safest and most advanced technologies and offerings to provide Rejuvenated guests with best in class service and experience. Gloria oversees all aspects of clinic operations, with a focus on education, business and marketing. She and her husband Elmer love to enjoy their family, travel and serve their community.